Ordinarily, keyholes offer a view into secret spaces while keeping the viewer hidden; they are looked through. 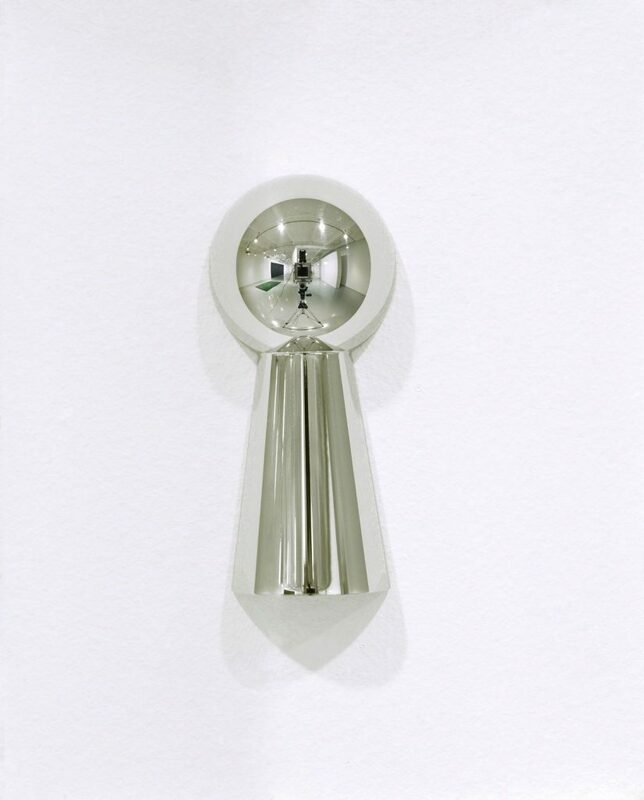 The highly polished surface of ‘Untitled (Keyhole)’, 1999, contradicts this by offering an otherworldly distorted reflection of the viewer and their surroundings. Iran do Espírito Santo is known for his sculptures in which everyday objects such as bricks, dice, light bulbs, and food tins are abstracted into simplified geometric forms.